Nate Dusing – Dusing is a former Olympic Swimmer. He competed in the 2000 and 2004 Summer Olympics. In the 2000 Olympic Games in Sydney, Australia, he earned a silver medal by swimming for the second-place U.S. team in the preliminary heats of the men’s 4×200-meter freestyle relay. He was also a member of gold medal-winning U.S. relay teams in the 4×100-meter freestyle at the 2005 World Aquatics Championships, and the 2004 World Short Course Championships. Chris Harris– He is an American professional wrestler. 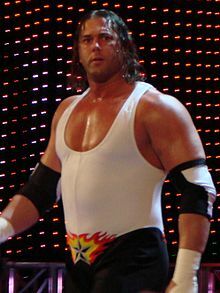 He is best known for working for Total Nonstop Action Wrestling, where he was formerly one-half of the tag team America’s Most Wanted along with partner James Storm. Harris is recognized as a seven-time NWA World Tag Team Champion, having won the belts with Storm six times and with Elix Skipper once. Posted on December 7, 2016, in Tiger Basketball and tagged Covington Catholic. Bookmark the permalink. Leave a comment.